Rock and Roll Hall of Fame singer-songwriter Jackson Browne will donate proceeds from his Carolina shows to transgender charities. Browne was originally due to perform in the state back in January, however illness and weather conditions forced postponement. 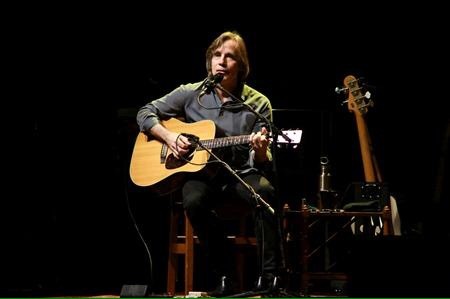 Jackson Browne perfoming a solo-acoustic concert. Image courtesy Ed Graff. But in support against the “bathroom” law passed by North Carolina, Jackson Browne will be donating the net proceeds from his two re-scheduled solo acoustic concerts in the state to local and national LGBT charities. Jackson Browne joins Bruce Springsteen, Bryan Adams and other artists in opposing the Public Facilities Privacy and Security Act which critics say dictates which bathroom transgender people are pemitted to use. They also argue the law attacks the rights of LGBT citizens to sue against workplace human rights violations. 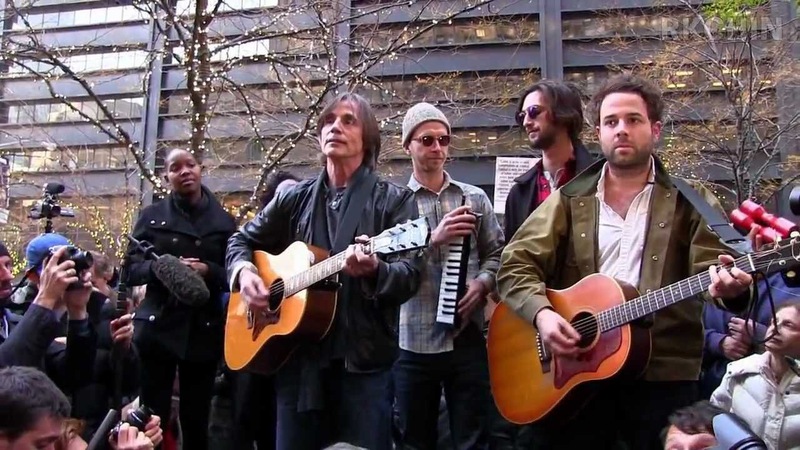 Jackson Browne performing with Dawes at Occupy Wall Street. Both Springsteen and Adams cancelled their shows in North Carolina to show solidarity with the LGBT community. Jackson Browne will be performing in Ashville and Wilmington, North Carolina on May 28th and June 1st respectively. The net proceeds will go to charities including Equality NC and Human Rights Campaign.